When we were thinking of activities in Fort Collins that we could share with others, we thought of our own experiences. After years of discovery, of being tourists and taking tours in different parts of the world, we began to think about how wonderful it would be to make a life sharing our excitement and curiosity about the planet with others. Our beloved home of Fort Collins, Colorado, with its incredible natural, historic and scenic elements has proven the perfect place to make a go at turning our dream into a reality. In our worldwide travels, from the heights of the Himalayas in Nepal to the volcanic wonders of the Galapagos in Ecuador, we’ve participated in hundreds of tour activities presented in a wide variety of formats ranging from scenic bus tours in the mountains to historic walking tours through old castles. 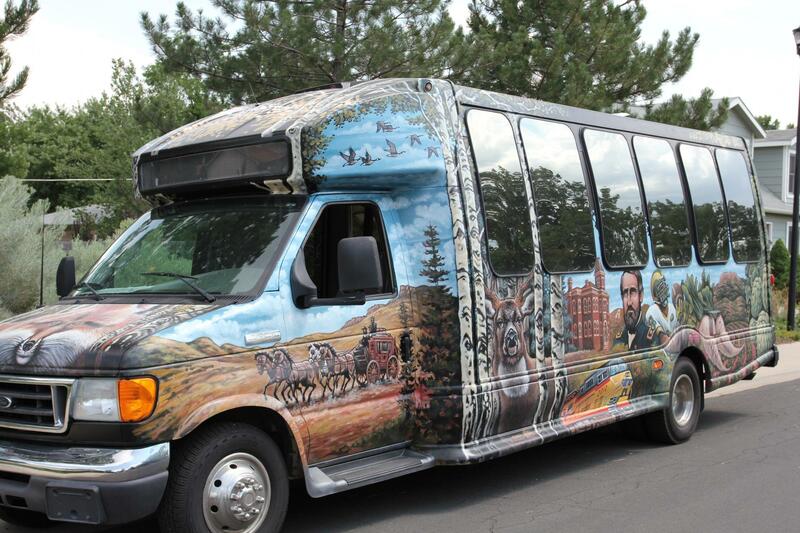 Armed with a unique vision for bringing an evolved tour activity to Fort Collins, we bought our first 21- seat limo bus and loads of audiovisual equipment. The next step was to build a repertoire of multimedia tours including our unforgettable Fort Collins History Bus Tour, our Fort Collins Brewery Tours, the Old Town Walking Tour, our Ghost Tours, and our Farm to Table Tours. Our unique multimedia platform takes touring to a new level providing you with a multidimensional tour experience unlike any other! like us on Facebook or Trip Advisor.